I’m a fan of history, especially American history. But I must admit never having heard of Sybil Ludington, who in April 1777 rode her horse across the countryside alerting the militia men that the British were coming. At age 16, she rode further than Paul Revere, and George Washington visited her to thank her for her efforts. Here’s the link to a history minute with more information on Sybil Ludington. Thanks to historical book author, David Healey, for stopping by and answering a few questions. VWC: When did you decide you wanted to be an author? What are some of the things you did to reach that goal? DH: I’ve always wanted to be a writer. That was it. I suppose I’ve been lucky that way. As a kid I was always writing stories and reading, reading, reading. There’s really no better way to become a writer than to be a voracious reader. VWC: How has your background as a newspaperman helped you with your career as an author? DH: Working at a newspaper you learn how to write very quickly and can’t afford the luxury of writer’s block. You also learn how to take some criticism and to work in a noisy environment. For a long time, it was a great job and it seemed important. VWC: How do you find a publisher for your first book? DH: First I found a wonderful agent named Esther Perkins who taught me a lot about the difference between simply writing fiction and writing fiction that might be published. Unfortunately we never landed a book deal together. When Esther retired I found another agent who gave me a whole new crash course in writing fiction. The agents are the ones who find a publisher. VWC: How do you find a publisher for a book now? DH:Publishing has changed so much in the last twenty years. You still need an agent to get a book deal with one of the big publishers. You needed a press to print a newspaper. Technology has changed all that. VWC: Have you ever self-published a book? If yes, what are the greatest challenges for a self-published author? DH: Self publishing is a great option. Dickens was a self publisher, after all, cranking out serialized stories for magazines that he owned—but he was also a great storyteller. I have self published a book with some success but with a lot of help from paid designers, copy editors and marketers. I would highly recommend hiring a pro to help you publish the best book possible. 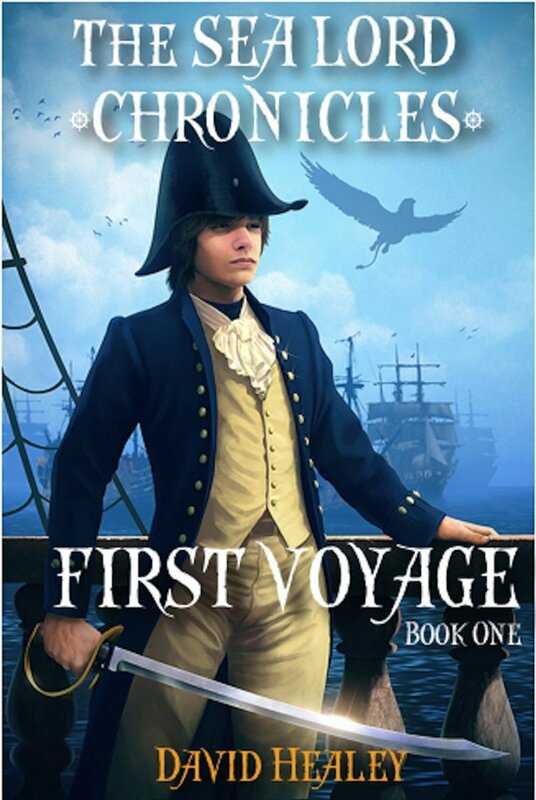 VWC: You’ve written thrillers, historical novels, non-fiction, mysteries, and the Sea Lord Chronicles for younger readers (MG or YA? ), do you have a favorite genre? DH: I read all sorts of things, and as a result I’ve written a lot of different kinds of books. VWC: What book that you’ve written is your favorite and why? DH: The best book I’ve written is the one I just finished. Somebody else actually said that, not me! My favorites are Sharpshooter, because that was my first novel; and I really take pride in Rebel Train, and not just because it was a Jeopardy! question. I wrote that novel in longhand over several months between the hours of midnight and two a.m. I would come home from the night shift at the newspaper and write, and then, be up first thing in the morning with our daughter so my wife could go to work. That’s how badly I wanted to write. 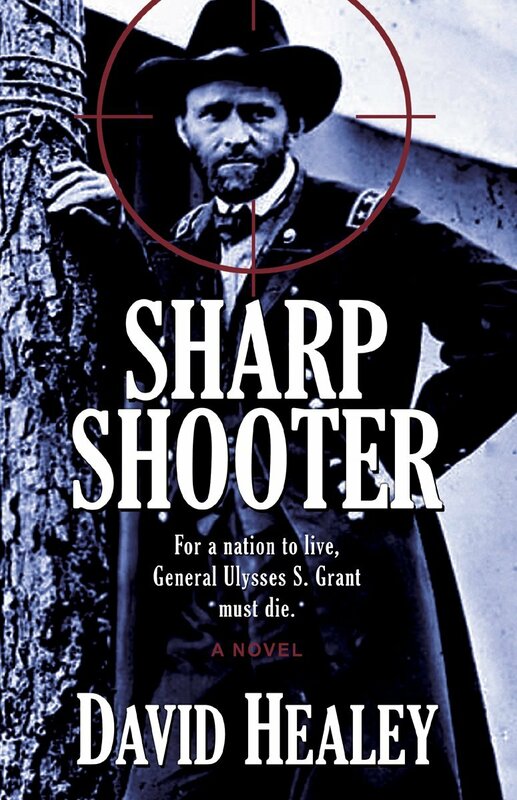 VWC: In addition to your historical nonfiction books, many of your novels are based in history. Do you enjoy research? Do you visit the places mentioned in your books? DH: History really comes alive for me when I try to imagine the people who lived through historical events. I love the research and try to visit all the historical locations I can because it helps to get the atmosphere right. 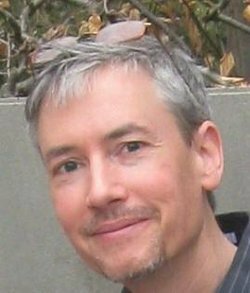 VWC: How have you managed to write and publish 8 books in the last 2 years? DH: Is it that many? I figure I’m good for about 30 books. That’s my ultimate goal. We’ll see. VWC: Do you work on more than one book at a time? DH: Yes, I usually have one almost finished and then one in the outlining stage. VWC: Do you have any time-management secrets for writers? DH: An outline is very important. It took me a long time to learn that, so save yourself a lot of grief and spend the weeks you need to write an outline. My outlines are very rough and incorporate character back story and plot points, but by the time I sit down to write most of the story is “there” just waiting to be written. The other factor is time. It does help to have some sort of schedule. I have the luxury now of writing in the morning or right after lunch. For many years I wrote late at night and on weekends to get things done. VWC: What projects are you working on now? 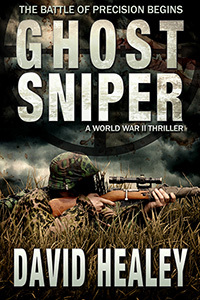 DH: I’m working on a sequel to my World War II story, Ghost Sniper. VWC: What advice do you have for writers trying to get a book published? VWC: Who was your favorite author as a child? DH: The wonderful frontier adventure writer William O. Steele. VWC: Who is your favorite author now? DH: I would say that I never miss a John Sandford thriller. VWC: What was the most valuable piece of writing advice given to you? DH: The game changer for me was going to school at Washington College in Chestertown and discovering this whole community of writers there. Through that I learned that you know what, it’s okay to be a writer. VWC: And now, the final and most important question: What’s your favorite kind of cookie? DH: Pepperidge Farm Chesapeakes with a much of tea. 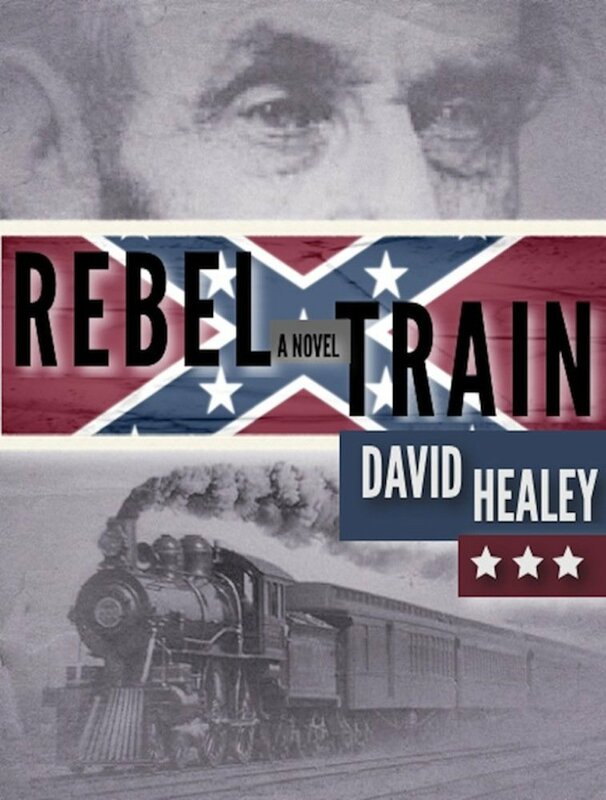 For more information about David Healey and his books, visit his website and blog. And you can find his books on Amazon. I find curious facts most inspiring when it comes to writing. Plus, all the seemingly useless information I read makes me wonderful at trivia games (if the game asks for the “right” useless info). A dark, puny, irreverent site I stumbled upon which contains odd historical trivia is http://horrible-histories.co.uk/calendar If you like trivia, I think you’ll agree it’s a strange and fascinating resource. 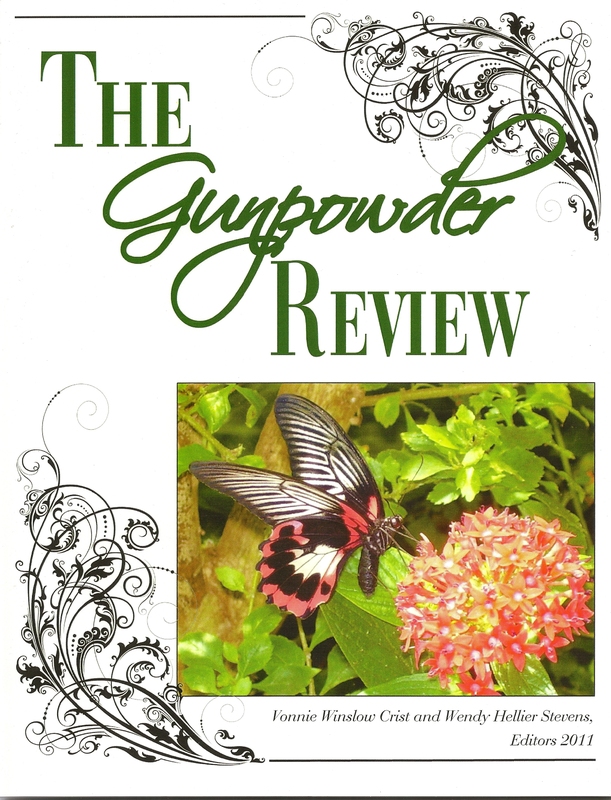 Gunpowder Review 2011 is Here! Hooray! The 2011 issue of The Gunpowder Review arrived in 2 large boxes on my doorstep today. I opened the first box, heart thumping, and examined the newest edition of the women’s literary magazine that I’ve edited for the last 3 years. I think the front and back covers look stunning. Front butterfly photo is from Katie Hartlove. 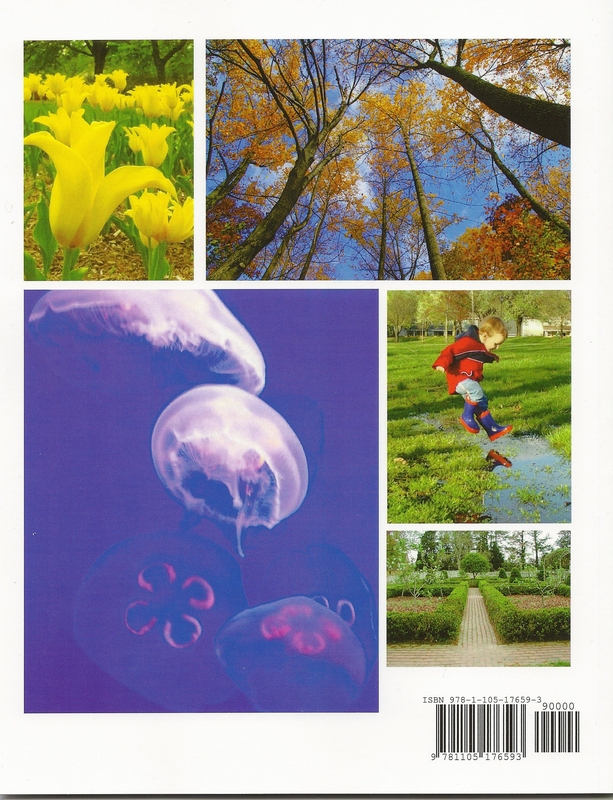 Back cover photos are from Jean Voxakis, Danuta Kosk-Kosicka, Patti Kinlock, Kristin Stephens Crist, and Robin Bayne. And the poems, prose, photography, and artwork on the inside of the magazine are just as wonderful. I feel priviledged to publish the work of so many creative women, and look forward to hosting a publication reading on November 13th at 1 PM at the Bel Air, Maryland, Barnes & Noble. The public is not only invited, but encouraged to attend – so if you’re in the area, why not stop by? And the weather was so balmy today, that husband, Sandy the Black-Mouthed Cur, and I took a hike on the North Central Railroad Trail. We walked beneath deciduous trees that had few leaves remaining on their branches, over bridges spanning a creek that had enough momentum to turn many a mill wheel in the olden days, and beside farmland, woodland, and flood plain. Though there were exposed roots aplenty, fern gullies, and mossy rocks – I didn’t spy any Fairyfolk. Still, I believe that they were there peering at us from rabbit holes and birds’ nests. There was a feeling of timelessness in the names of the tiny roads we crossed. I must research the history of the NCR Trail and the little towns we walked through. History holds so many secrets and endless inspiration for writers. I’ve used a bit of personal history to YA Urban Fantasy already, and I’ll surely use more. The column I’m working on features 2 local writers, Jack L. Shagena, Jr. and Henry C. Peden, Jr., who are meticulously researching and writing the history of Harford County. Their books are each subject specific: Mills, Blacksmithing, Churches, Tinsmithing, Barns, Bridges, etc. Fascinating stuff for those of us interested in history or for writers interested in bringing authenticity to their fiction. (And luckily, all but 1 of their books are available at the Harford Historical Society). 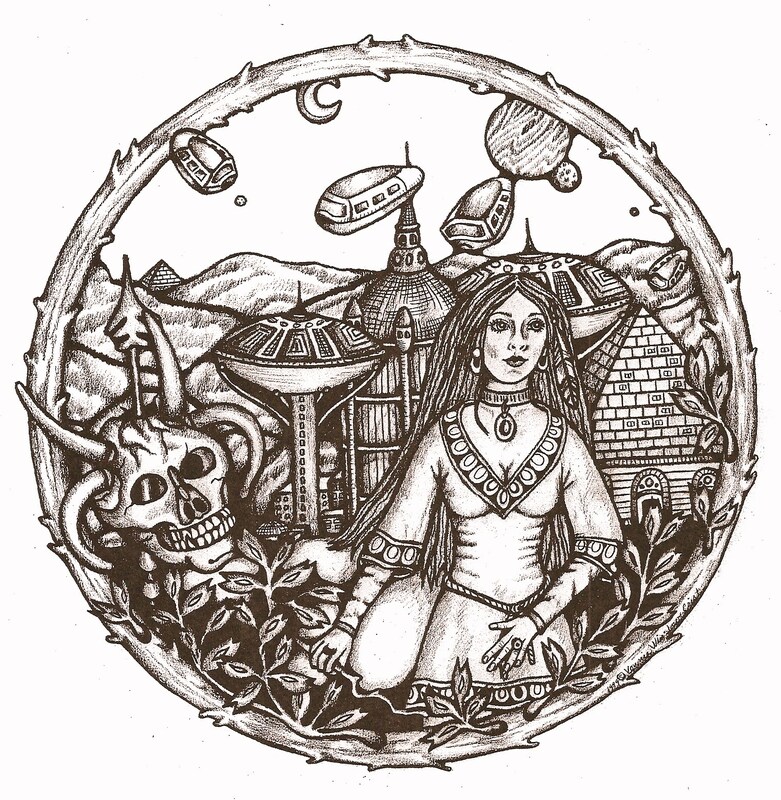 But today, I’ve been daydreaming about a darker world where I’ve set one fantasy story and I’d like to set another. Maybe it’s the warm wind rustling the daffodils every time I go outside with the dog. Maybe it’s the new leaves on the trees that seem so brightly yellow-green against the sky. Maybe it’s the woodpecker persistently searching for insects in the dead maple in the woods. I’m not sure. But whatever the reason, I’m finding it difficult to focus on the here and now. So to you writers & artists out there (and everyone else who’s enjoying this gorgeous spring day): Happy Daydreaming!